If you like the original Visual Studio 2010 tabs theme you can use the excellent Visual Studio 2010 style for Tabs Studio by Jameel Al-Aziz. But, as this style changes many aspects of tabs presentation, it also overrides custom colors that you assign with tab coloring rules in Tabs Studio presentation options. 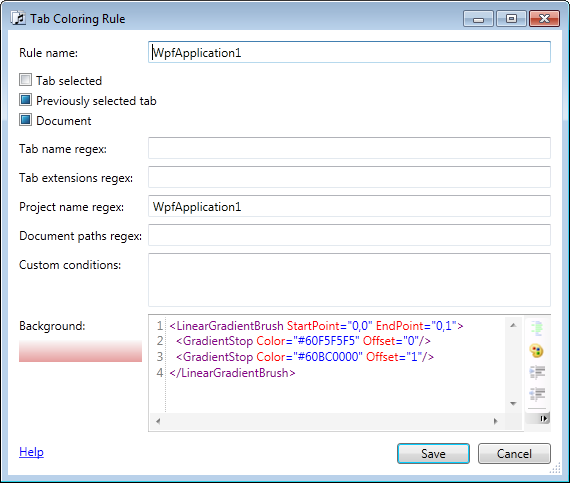 (Of course, you can implement all coloring rules as style rules, it just requires working directly with XAML). 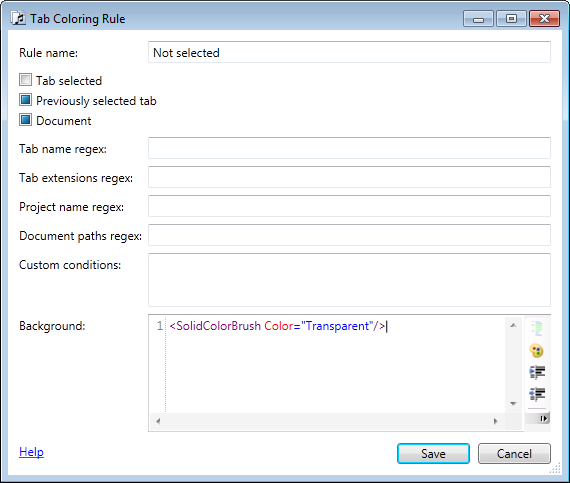 Below is a simple style that closer to the overall Visual Studio 2010 theme and still supports additional tab coloring rules. Update: Added white color to modification markers in the style. It would be nice if we could change the order of the Rule in the UI using drag and drop or up/down buttons. Absolutely agree. I will add this capability. 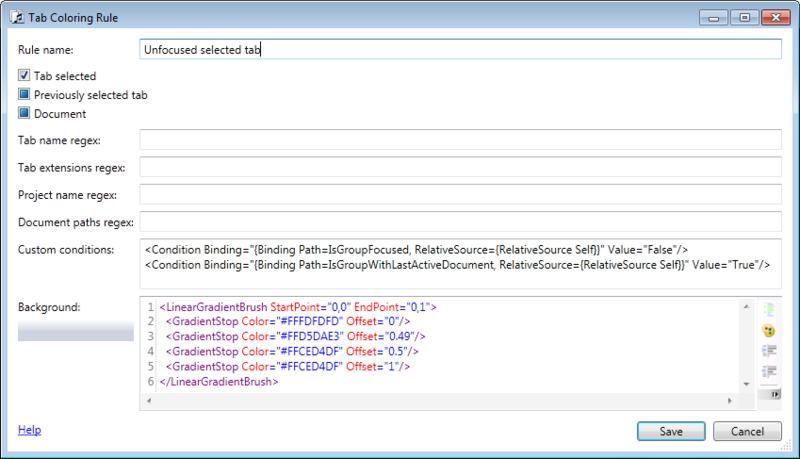 I’ve added the ability to change the order of the Tab coloring rules using drag and drop: Tabs Studio v2.6.1.